After a bout of particularly nasty food poisoning or flu, you might be forgiven for using the expression "puking my guts out." But you haven't -- not really. You just threw up your stomach contents -- your abdomen and intestines stayed inside your body (we're guessing, since you're reading this). 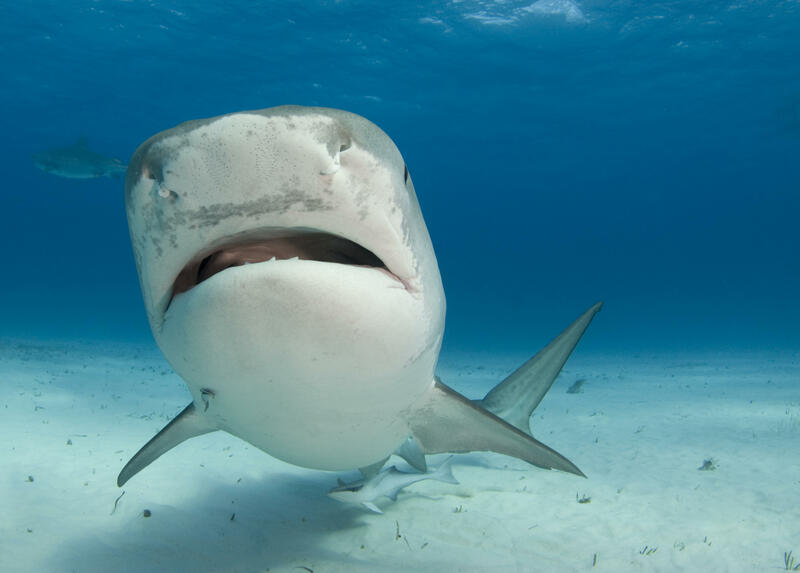 Sharks, on the other hand, have a trick called "gastric eversion" up their proverbial sleeve. Basically, if a shark wants or needs to eject its belly contents, it just FLIPS its stomach out of its mouth, and everything goes flying -- kind of like when you turn your pockets inside out to empty them. In the case of the shark, every once in a while it just needs to clean all that debris (bones, feathers, turtle shells, parasites, you name it) that begins to gather in its belly after meals. Sharks may also do this when they are super stressed out, such as when they get caught in a fishing line or pulled onto a boat for tagging. Researchers think trauma may trigger this response in order to divert energy from difficult-to-digest stomach contents to OMG-get-me-out-of-here flight. Gastric eversion isn't limited to sharks, either. Some frogs, rays and sea creatures (sea squirts, starfish, sea cucumbers) share the ability as well. But given a shark's diet, which sometimes includes license plates, rubber tires, plastics and other garbage that ends up in our oceans, we think it's a particular handy trait for them.